WASHINGTON — There was a lot of data for the commodity markets to digest after USDA released two important reports last week. The Quarterly Grain Stocks Report for March 1, 2018 pegged corn stocks at 8.888 billion bushels, soybeans at 2.107 billion bushels and wheat at 1.494 billion bushels. Most traders were anxiously awaiting the 2018 Prospective Plantings Report, which was not short of surprises. The biggest eye opener for analysts was the number of acres USDA said would be planted to soybeans. The 89 million acre estimate was well below most trade guesses. 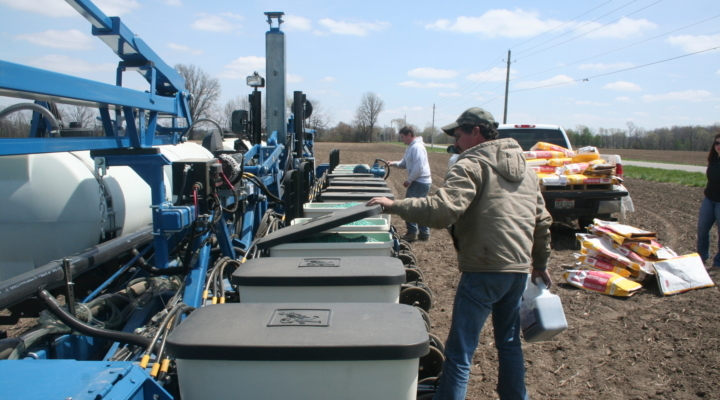 The 88 million acres of corn projected to be planted this spring also fell short of what many in trade circles were expecting. With all of the attention that corn and soybean acres received, post report, there was another number that was being heavily criticized. That being the total number of principle crop acres being planted this year, which is 1.2 million acres less that just a year ago. While both corn and soybean acres are slated to decrease this year, some crops will see a resurgence in 2018. USDA estimates the planted area for all U.S. cotton at 13.5 million acres, which is a 7% increase over 2017. Sorghum will pick up almost 5.5% in acreage in 2018 compared to a year ago. USDA says they will survey producers again in June to see if actual plantings change from intentions.